Last month I attended Awakening of the Illuminated Heart, a heart healing workshop that taught us how to connect our Brow Chakra to our Heart, so that we could see the world through our Heart and not the mind. This connection is also one that Barbara Brennan references in Hands of Light, telling us that Unconditional Love flows when both of these Chakras are open and connected. The Brow Chakra and its corresponding Aura layer make it possible for us to see the light in others, regardless of who they are to us. I have been practicing energy healing and meditation since 2009. In the early days I was incredibly ungrounded, say 37% out of 100 (don't ask me how I got to that number as its a long story lol). Since then I have been working on grounding my energy, usually with clairsentient meditations where you run earth energy through your legs to your Base Chakra and down again. 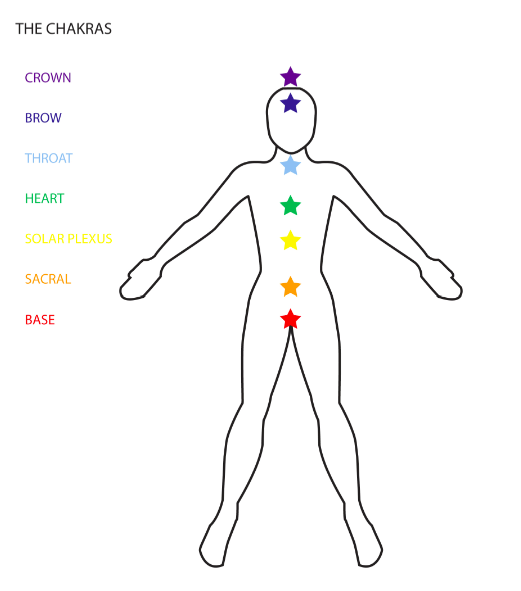 As a result, I got to be very good at grounding through my foot chakras and that's fantastic, but I still couldn't ground through my Base Chakra. We did lots of meditations in Healing School, they often began with grounding through the Base Chakra. The idea was to drop a grounding cord from the bottom of your spine (or Base) into the ground and let it sink to the center of the earth. I usually wound up grounding through my feet instead. My Base wasn't as open as my upper Chakras and I couldn't wrap my head around it. Thankfully my legs compensated for my ungrounded Base Chakra or I wouldn't have gotten very far with healing either. The past few weeks I've noticed a change and I think it's the workshop. There was one particular meditation where the teacher guided us through activating our Merkabas (merkawhats? 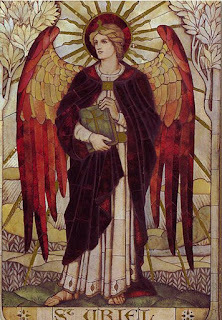 ), which Google defines as "the divine light vehicle allegedly used by ascended masters to connect with and reach those in tune with higher realms." It's also meant to be an Ascension tool, though in my peculiar world view Ascension may very well be about grounding. In class we also learned to program our Merkabas to speed up the earthly learning process, attracting people, events and life lessons that will help us grow (in a friendly way, I hope). I haven't been able to sense my Merkaba just yet, but I do feel a lot better, more grounded and happier since I activated it. 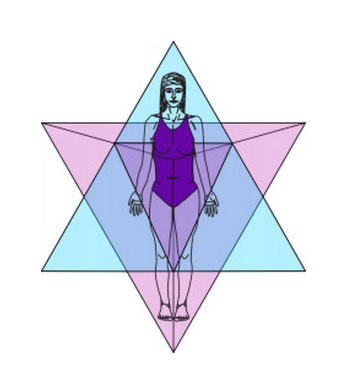 I am not sure if the teachers intended for the Merkaba Activation to ground us, but I strayed from the meditation and activated my Base Chakra spontaneously. A couple months ago, I was meditating at home and connecting my guides. Occasionally they give us spiritual gifts, tools that we can work with in our daily lives. In the past I've received a crystal wand, a protective cloak and a few other gadgets. This time I got an ankh, a protective cloak and a few other gadgets. This time I got an ankh, that Egyptian symbol that is said to be a key for life, death and immortality. I had no idea what to do with it so I said thanks and tucked it away. Well wouldn't you know, the ankh popped into my mind during the Merkaba activation, and somehow I know that I was supposed to plug it into my Base Chakra. I did, and suddenly I felt a rush of energy going from my Base up my spine, past my Heart to my Crown Chakra and back down again. It was like I turned a key and let energy flow through my Base Chakra to the rest of my Body. It was fantastic and since then I've been incredibly grounded.